Two Traditional leaders in Muchinga Province have offered to release land to Government for development. Senior Chief Nkula of the Bemba speaking people and Chief Kabanda of the Bisa people have told the Industrial Development Corporation (IDC) officials who were in the province for a survey that they are ready to partner with government in order to foster development in their respective Chiefdoms. Senior Chief Nkula said his Chiefdom has enough arable land ready to be surrendered for agricultural production. The traditional leader said any investor willing to invest in agricultural production in Nkula Chiefdom is welcome as the area has enough land with no settlements. He said he is encouraging people to invest in the agricultural production so as to boost food production and contribute positively to the economic growth of the province and ultimately, the entire country. Senior Chief Nkula further said the call by President Edgar Lungu to diversify the economy through increased agricultural production should be supported as it will go a long way in improving the country’s economy as well as boost the national food security. And Chief Kabanda said his Chiefdom has potential for investment in various sectors. Speaking through his representative Arnold Chengo, Chief Kabanda said his Chiefdom has a lot of mineral deposits and has potential for hydro power generation. 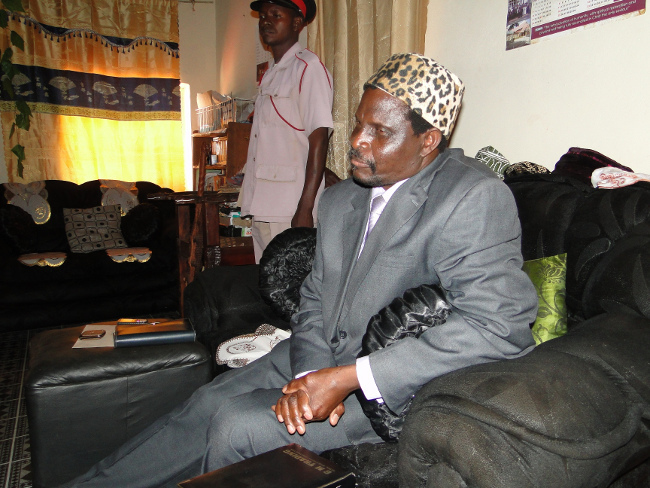 Chief Kabanda added that his area has arable land for agricultural production with enough rivers and streams. The traditional leader said any investor willing to invest in Kabanda Chiefdom in various sectors of the economy is welcome as land is readily available. IDC team led by the Technical Specialist Shyan Vora where in Muchinga Province on a survey to check on the Investment potential of the province. Meanwhile, Muchinga Province Permanent Secretary, Jobbicks Kalumba and the IDC Team commended Senior Chief Nkula and Chief Kabanda for their willingness to release land to would -be investors. Dr. Kalumba said it is the desire of the provincial administration to improve agricultural production in the area taking advantage of the good soils and favourable climatic conditions. The survey embarked on by the IDC follows a successful stakeholders meeting held at Kapasa Makasa University in Chinsali in July this year that resolved to make Muchinga a fruit and forest hub. Good man Snr Chief Nkula! Salala abana bonke, lyasaka! Thank you for the 20 hectares, development surely coming that way. He looks like Chief Mukuni.